Thank you very much for supporting original design and handmade. Here's everything behind the showcase. 1. 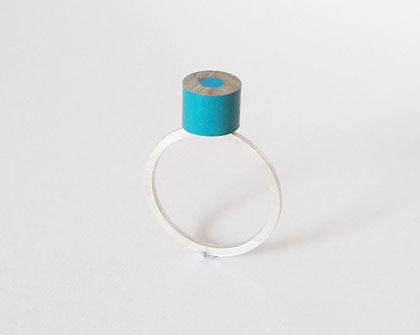 Custom made Color Pencil rings will join the Pencil Lover collection in Oct, 2010. 2. Cards featuring my original paintings will be available at www.p4painting.etsy.com in this autumn. 3. Women and kids' hand-drawn t-shirts will be available in Oct 2010. Thank you very much for supporting original design and handmade! I design/make jewelry and interior space, and paint when my passion pushes me to. This is a Flickr badge showing items in a set called jewelry. Make your own badge here.